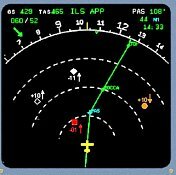 January 10, 1989 - FAA published a rule requiring the Traffic Alert and Collision Avoidance System (TCAS II) on all airliners with more than 30 passenger seats operating in U.S. airspace, by December 30, 1993. This rule also required turbine-powered commuter aircraft with 10 to 30 passenger seats to install the simpler TCAS-I by December 31, 1995. January 20, 1989 - George Herbert Walker Bush became President of the United States, succeeding Ronald Reagan. George H. W. Bush was the 41st President of the United States. He was previously a Congressman from Texas, and Ambassador to the United Nations, and Director of Central Intelligence. He also served as chairman of the Republican National Committee. Following the attack on Pearl Harbor in 1941, Bush enlisted in the U.S. Navy on his 18th birthday. After the war he attended Yale University. February 6, 1989 - Samuel Knox Skinner became Secretary of Transportation, succeeding James H. Burnley with the change of administrations. Mr. Skinner was born in Chicago, grew up in Springfield and Wheaton, Illinois and served as a lieutenant and tank platoon leader in the U.S. Army in 1960-61. He received J.D. from DePaul University College of Law, and B.S. from the University of Illinois at Urbana-Champaign. 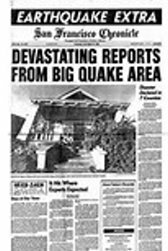 February 8, 1989 - An American charter flight, Independent Air Flight 1851, a Boeing B-707 from Italy to Punta Cana, Dominican Republic, while on approach to Santa Maria Airport in the Azores for a scheduled stopover struck Pico Alto (the highest point, 2,000 feet, on the island of Santa Maria). the jet was completely destroyed, with the loss of all 144 on board. The accident was caused by non-observance of the crew of established operating procedures which led to the deliberate descent of the aircraft to 2,000 feet when the published minimum altitude was 3,000 feet. It also found that the air traffic controller trainee had put the aircraft 240 feet below that indicated on board the jet. February 17, 1989 - FAA announced that T. Allan McArtor resigned as FAA Administrator. The post of Acting Administrator was filled by Robert Whittington. February 19, 1989 - A FedEx-owned Boeing B-747 operating as Flying Tiger Flight 66 (flying an international cargo flight from Singapore) crashed near Kuala Lumpur, Malaysia on approach to landing, killing all four on board. The jet impacted terrain 12 miles from the airport. (4 Fatalities). Air Traffic Control instructed the flight: "Tiger 66, descend to two four zero zero (2,400 feet), cleared for NDB approach runway three three." The captain heard "descent to four zero zero" replied with, "Okay, four zero zero" (meaning 400 feet above sea level, which was 2,000 feet too low.)  The cockpit Voice Recorder revealed several communication errors made by the flight crew prior to this miscommunication and a general casual nature of the captain. 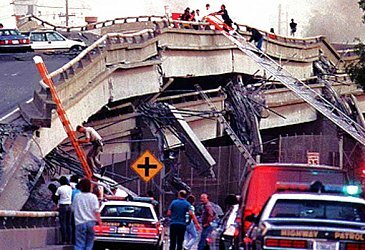 The crew ignored numerous warnings by the Ground Proximity Warning System, and the jet impacted a hillside 437 feet above sea level. The First Officer did not have an approach plate in front of him and hadn't seen the NDB approach which provides the pilot with courses and minimum altitudes necessary to execute the NDB approach. The chart would have indicated the minimum descent altitude of 2,400 feet, preventing the accident. He had earlier expressed concern about conducting the NDB approach and had a preference for the ILS for Runway 15. However, the FO was not assertive and no further action was taken. The Captain dismissed his concern saying he was familiar with the airport and the approaches. 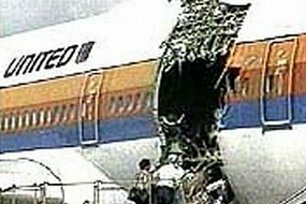 February 24, 1989 - United Airlines Flight 811, a Boeing B-747 from Honolulu to Auckland, New Zealand had an explosive decompression shortly after takeoff from Honolulu, Hawaii, caused by a cargo door that burst open during flight. 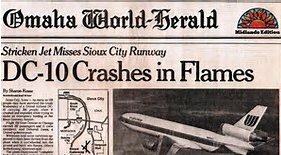 The resulting explosive decompression blew out several rows of seats and of 355 people on board, 9 passengers were blown out of the plane, but the crew managed to land safely back at Honolulu. (9 Fatalities). Sixteen minutes after takeoff, and climbing to 23,000 feet, the flight crew heard a loud 'thump' which shook the jet. One second later, the forward cargo door blew out, and swung with such force that it passed its normal stop and slammed into the side of the fuselage, bursting it open. Pressure differentials and forces caused the cabin floor to cave in, and 10 seats were ejected from the cabin. A gaping hole was left in the aircraft, and a flight attendant in the business-class cabin was almost blown out. Passengers and crew members saw her clinging to a seat leg and were able to pull her back inside the cabin. The debris ejected from the jet caused severe damage to the Number 3 and 4 engines, causing visible fires in both, and the crew shut down both engines, declared an emergency and began dumping fuel to reduce the jet's landing weight. Some of the explosively ejected debris damaged the right wing's leading edge, dented the right horizontal stabilizer and damaged the vertical stabilizer. 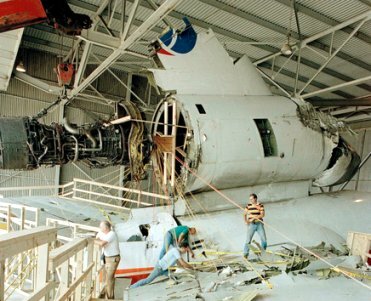 The NTSB learned that Flight 811 had experienced intermittent malfunctions of its forward cargo door before and concluded that these malfunctions had damaged the door locking mechanism which caused the door to show a latched and locked indication, without being fully latched and locked. The NTSB attributed the accident to human error by the ground crew. They also faulted United Airlines for improper maintenance and inspection due to its failure to identify the damaged locking mechanism. The NTSB issued a recommendation for all B-747-100s to replace their cargo door latching mechanisms with new, redesigned locks. A sub-recommendation suggested replacing all outward-opening doors with inward-opening doors, which cannot open in flight due to the pressure differential. 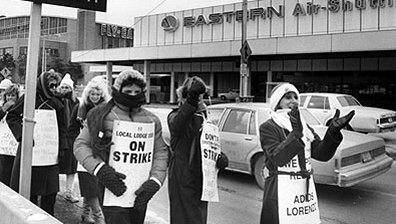 March 4, 1989 - The union representing Eastern Air Line's machinists went on strike. They were supported by large numbers of the airline's pilots and flight attendants. Approximately 90% of Eastern's planes were grounded. Five days later, Eastern filed for protection under Chapter 11 of the Federal Bankruptcy Code. 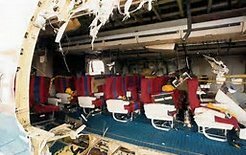 March 22, 1989 - Fire consumed one of the mobile lounges used at Dulles International Airport to transport passengers from the terminal to aircraft. Two passengers were injured. The day before the fire, a ramp worker at Dulles had been crushed to death under the wheels of a lounge. Airport officials ordered maintenance inspections on all mobile lounges and retraining courses for all lounge drivers. June 7, 1989 - New York real estate developer Donald Trump acquired Eastern Air Lines' shuttle operation between Washington, New York, and Boston, and began service under the name: Trump Shuttle. The venture proved unprofitable and on April 12, 1992, USAir began operating the renamed USAir Shuttle under a management contract with a group of banks. June 30, 1989 - Admiral James Buchanan Busey IV, (USN, Ret.) became FAA's 11th Administrator, succeeding T. Allan McArtor. Admiral Busey is a retired U.S. Navy 4-star admiral. He served as Vice Chief of Naval Operations and as Commander in Chief, U.S. Naval Forces Europe/Commander in Chief Allied Forces southern Europe. Admiral Busey received his flight training at Aviation Cadet Training Program at Pensacola, Florida. He served in several Naval posts, including Naval Air Station Cecil Field, Naval Air Station Jacksonville, Florida. He earned his B.S. and M.B.A. degrees at the Naval Postgraduate School in Monterey, California. 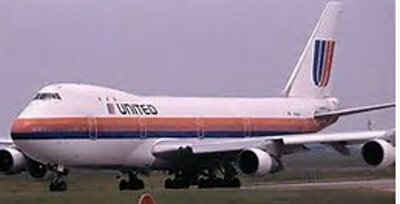 July 19, 1989 - United Airlines Flight 232, a McDonnell Douglas DC-10, en route from Denver to Chicago O'Hare, suffered a complete hydraulic system failure over Iowa after the tail-mounted engine disintegrated at 37,000 feet. The debris from the failed disk was not contained by the engine's nacelle (a housing that protects the engine). Pieces of the disk penetrated the jet's tail section structure in numerous places including the horizontal stabilizer, and also punctured the lines of all 3 hydraulic systems. 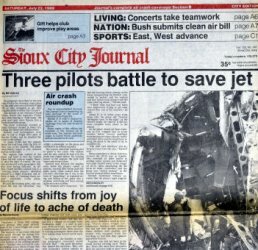 The pilots felt a jolt, warning lights illuminated indicating the autopilot had disengaged and that the tail-mounted number 2 engine was malfunctioning. The second officer read the first item on the engine failure checklist: 'throttle power must be reduced to idle', but they were unable to move the throttle because the linkage had been jammed when the engine failed. The 2nd item called for the fuel supply lever to be shutoff, but it would not move either. The firewall shutoff valve was then actuated, and the fuel flow to the engine was shut off. The crew questioned whether they should deploy the landing gear or belly-land the jet with the gear retracted. They decided that having the gear down would provide some shock absorption on impact, however, the complete hydraulic pressure to the landing gear was lost, but the DC-10 was designed to allow the gear to fall down slightly and rest on the landing gear doors, and by placing the regular landing gear handle in the down position unlocked the doors mechanically, and the doors and landing gear fell down into place and lock due to gravity. Some control of the descent was made by adjusting engine thrust, however the crew was unable to control airspeed independent from sink rate. The jet was descending at 1,850 feet per minute at 220 knots (a safe landing would require 140 knots and 300 feet per minute.) The tip of the right wing hit the runway first, spilling fuel which ignited immediately. The tail section broke off from the force of impact, and the rest of the aircraft bounced several times, shedding the landing gear and engine nacelles and breaking the fuselage into several pieces. On the final impact, the right wing was shorn off and the main part of the jet skidded sideways, rolled over onto its back, and slid to a stop upside-down in a corn field. 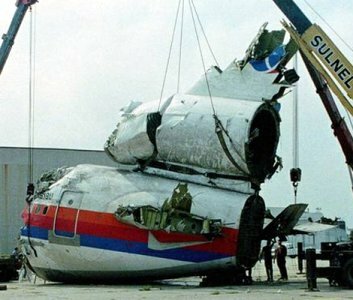 Despite the deaths, this accident is considered a prime example of successful crew resource management due to the large number of survivors and the manner in which the flight crew handled the emergency and landed the airplane without conventional control. The NTSB determined that the probable cause of this accident was the inadequate consideration given to human factor limitations in the inspection and quality control procedures used by United Airlines' engine overhaul facility. They did not detect a fatigue crack originating from a previously undetected metallurgical defect located in a critical area of the stage 1 fan disk. The uncontained manner in which the engine failed resulted in high-speed metal fragments being hurled from the engine and penetrating the hydraulic lines of all 3 independent hydraulic systems, which rapidly lost their hydraulic fluid, and the loss of the hydraulic systems that operated the DC-10s controls. The flight crew lost its ability to operate nearly all of them. Despite these losses, the crew was able to attain and then maintain limited control by using the throttles to adjust thrust to the remaining 2 wing-mounted engines. 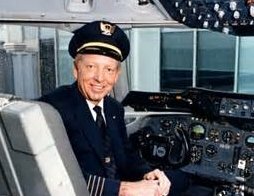 For much of aviation's history, the captain was considered the final authority, and crews were to respect the captain's expertise and not question him. This began to change in the 1970s and Crew Resource Management, while still considering the captain the final authority, instructs crewmembers to speak up when they detect a problem, and instructs captains to listen to their concerns. United Airlines instituted a Crew Resource Management class in the 1980s. The NTSB would later credit this training as valuable toward the success of United Flight 232's crew in handling this emergency. Using each engine independently, the crew made rough steering adjustments, and by using the engines together they were able to roughly adjust altitude. The crew guided the jet to Sioux Gateway Airport and lined up for landing. Without the use of flaps and slats, they were unable to slow down, unable to flare, and were forced to attempt landing at a very high ground speed, and high rate of descent. Upon touchdown the aircraft broke apart, rolled over and caught fire. The largest section came to rest in a cornfield next to the runway. 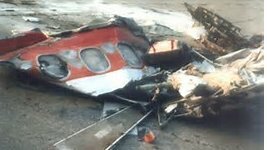 Despite the violent accident, 185 passengers and crew survived owing to a the relatively controlled manner of the crash and the early notification of emergency services. retired after his 35-year aviation career. He is a regular guest speaker at many social events, and describes how he was able to control the DC-10 using only the throttles, since the hydraulic control systems had failed. The FAA made Crew Resource Training mandatory in the aftermath of this accident. 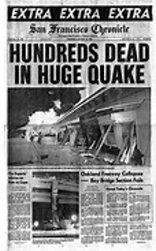 October 17, 1989 - A huge earthquake, 7.1 on the Richter scale, shook northern California, damaging runways, disrupting airline service, and causing over $50 million damage to FAA facilities and equipment. 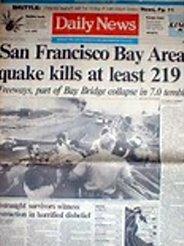 Affected facilities were the San Francisco tower cab, which lost windows and its ceiling, and the San Jose tower which lost a window and air conditioning unit. Air Traffic Controllers remained on duty to ensure the safety of flights aloft. Game 3 of the 1989 world Series had just started at Candlestick Park in San Francisco. Air Traffic Controllers at the Oakland Air Traffic Control Center in Fremont, CA diverted inbound traffic to SFO, OAK, and SJC to other airports including LAX, SAC, and RNO. The FAA subsequently allocated $8 million in discretionary airport improvement funds for partial reconstruction of a runway at Oakland. 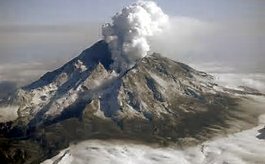 December 14, 1989 - Alaska's Redoubt Volcano began a series of eruptions, emitting ash that affected aviation. The FAA used a satellite-based system to track the ash and warn aviators. The next day a Boeing B-747 lost all engine thrust temporarily after encountering an ash cloud. Ash from Redoubt damaged four other airliners during the following 3 months. December 14, 1989 - FAA authorized use of the Oceanic Display and Planning System (ODAPS) at the Oakland Air Route Traffic Control Center. ODAPS achieved initial operational capability at the New York Center.